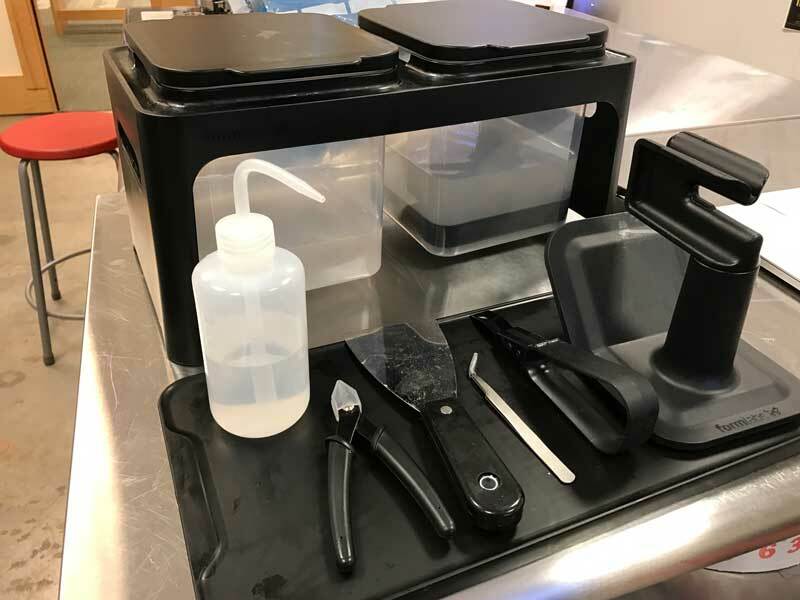 UCSF – Meet the Form 2 3D Printer! We have seen hundreds of successful 3D prints using the Ultimaker 2 and Lulzbot Taz 5 3D printers since opening the Makers Lab in April 2016. During this time, we have also identified a few limitations with the two printers. Both the Ultimaker and Taz are fused deposition modeling printers (FDM), which 3D prints by laying down filament one layer at a time. 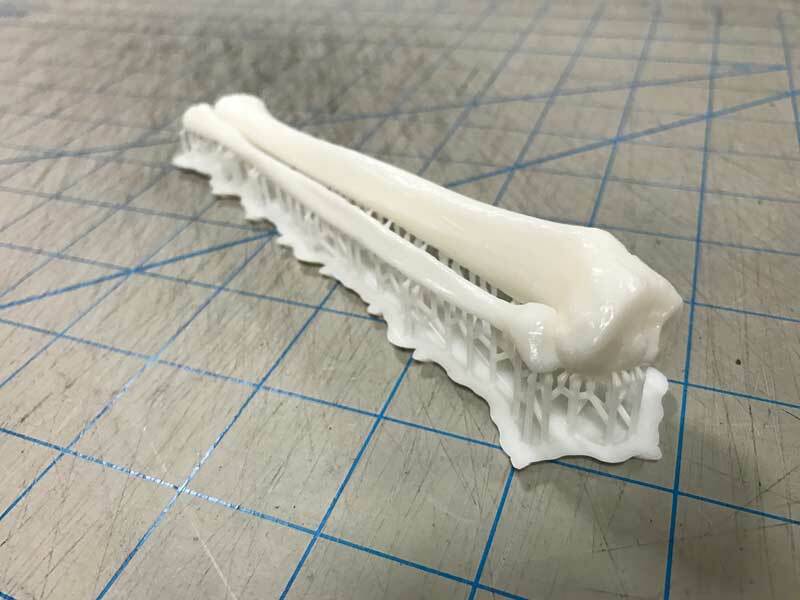 FDM printers are great for the large majority of projects in the Makers Lab, however the limitations of FDM printers become apparent when printing precise models like medical instruments, models of bones, and lab equipment. Not to worry, let us introduce you to the Form 2, made by formlabs! 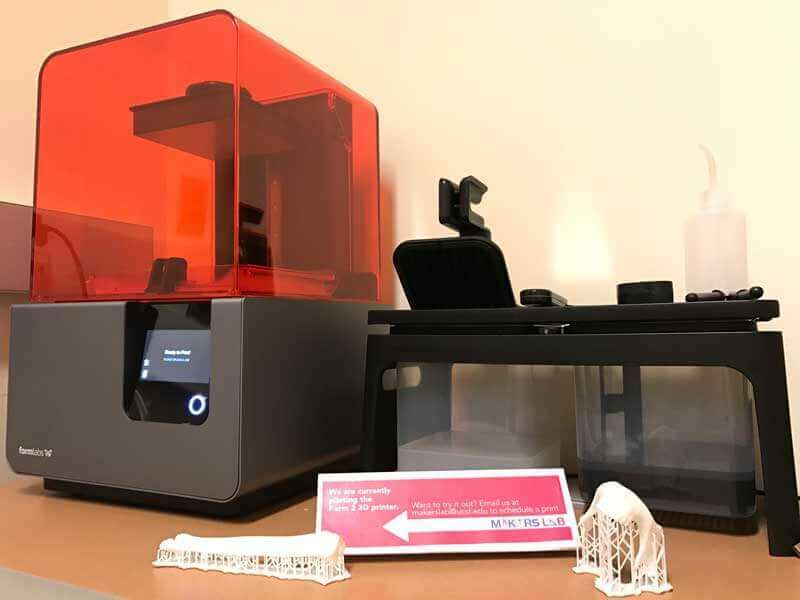 The Form 2 is a stereolithography (SLA) 3D printer, which uses a number of different liquid resins and a laser to build the model; instead of heat and plastic filament. 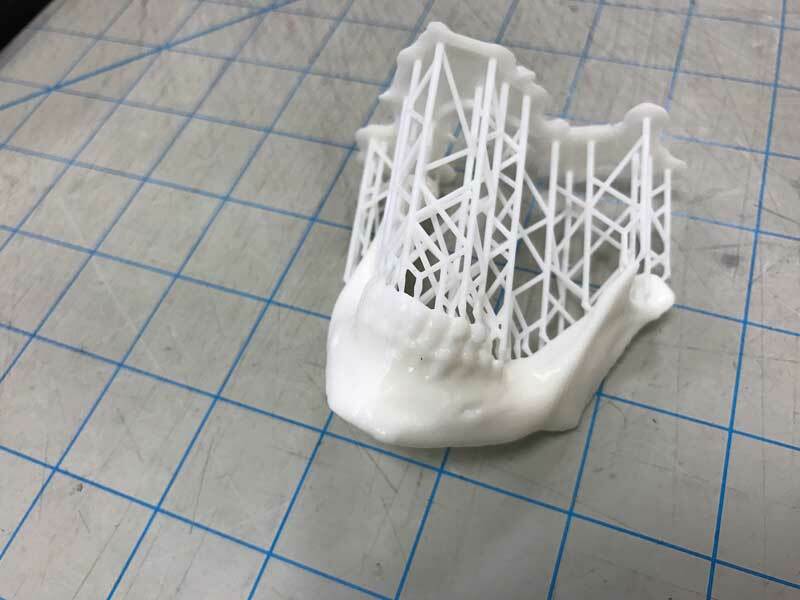 We are now able to print more precise and longer prints with the Form 2. 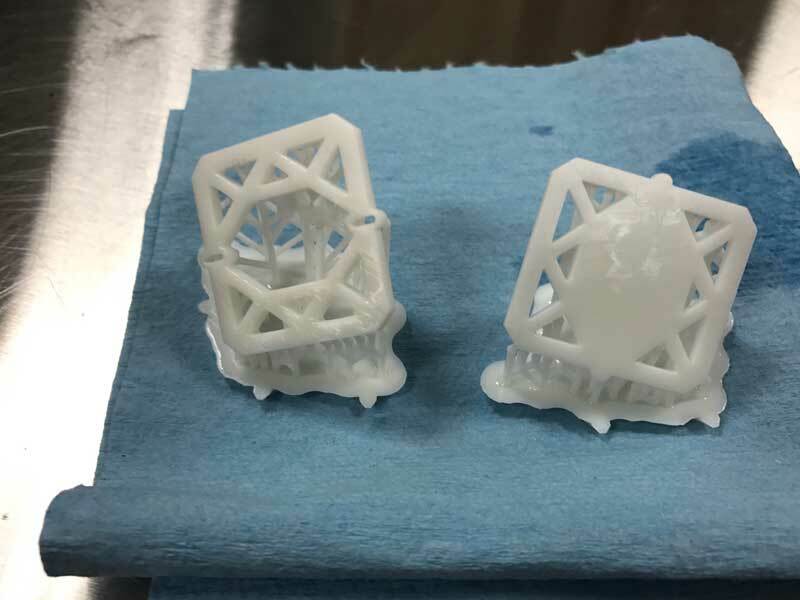 SLA printing is not new tech, it has just been expensive and the printers have been very large up until the last few years. The Form 2 3D printer is currently being piloted in the Makers Lab and is not listed on the Makers Lab reservation calendar. 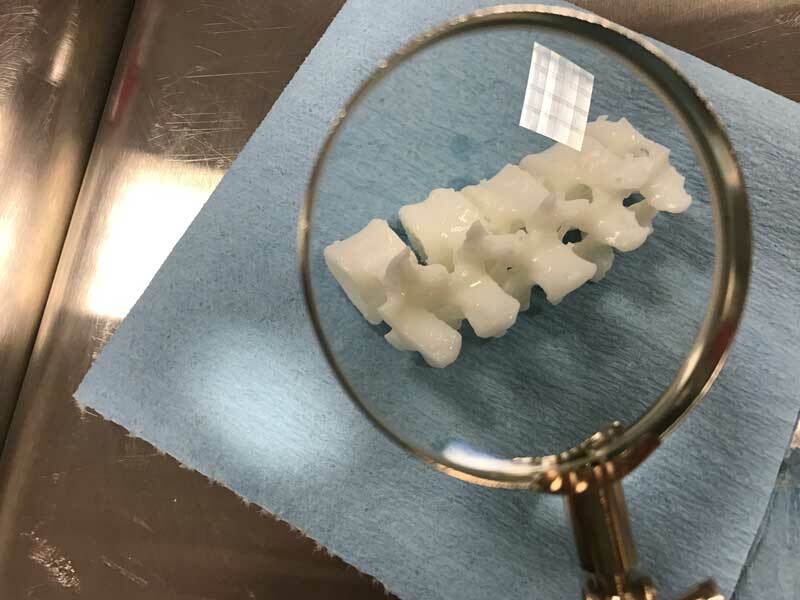 We have seen the Form 2 being used in the Makers Lab for printing orthopaedic models for pre-surgery simulation, printing lab equipment for research, and much more (see below for examples). 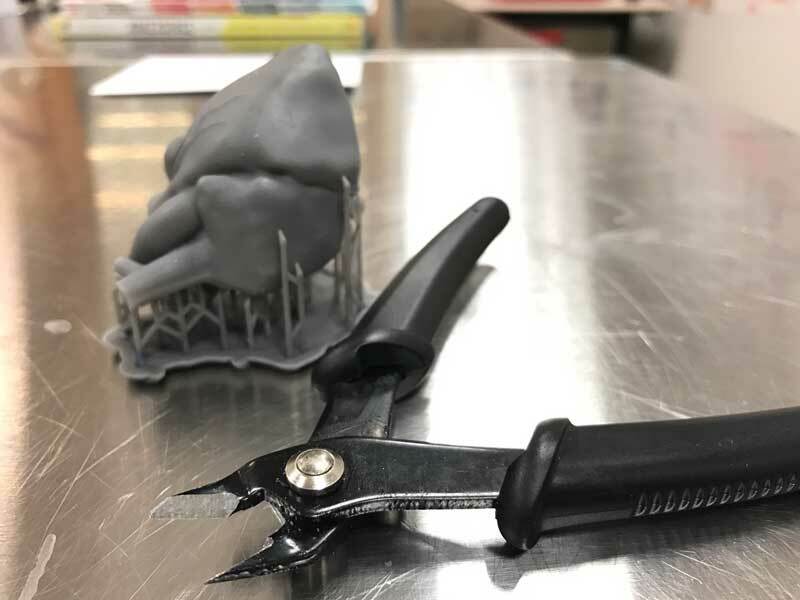 If you are interested in 3D printing with the Form 2, contact us at makerslab@ucsf.edu to schedule your print with a Makers Lab staff member. 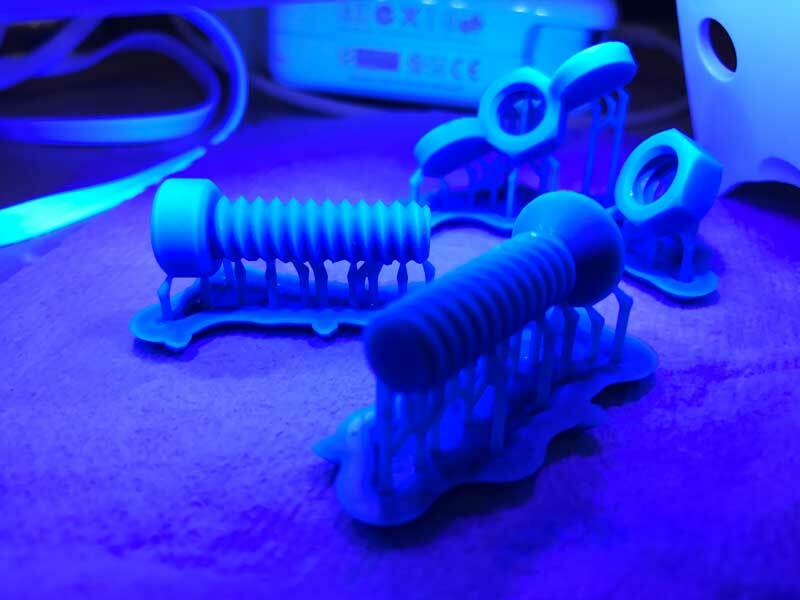 The Form 2 comes with a finish kit (shown below) used to clean up your model after printing. 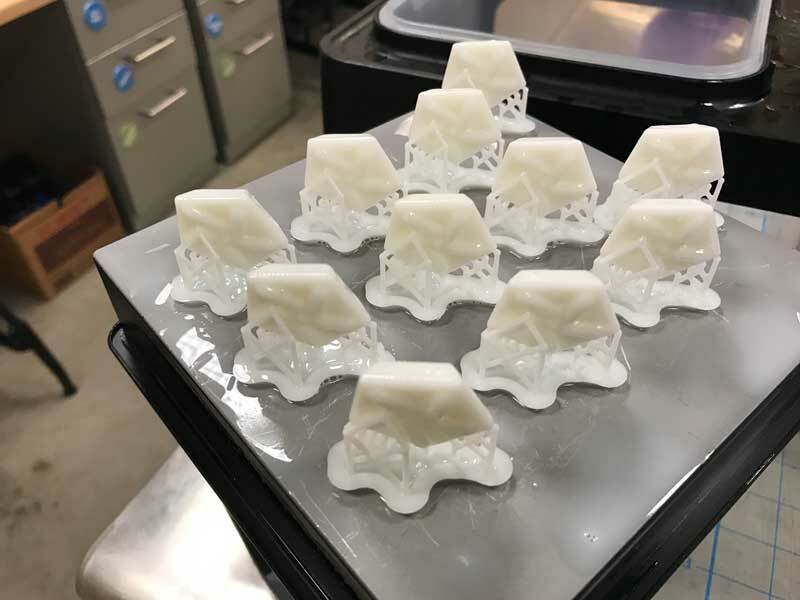 After removing the print from the build platform, the prints is submerged in isopropyl alcohol and agitated for roughly 20 minutes to remove any leftover liquid resin. After removing from the alcohol bath, we can use the clippers to remove the support structure. The print can also be placed under a UV light to finish curing the resin, or can be placed in natural sunlight until dry. In the meantime, take a virtual fly through of the Form 2 and visit the formlabs website for technical specs. Also check out the Netflix documentary, “Print the Legend” for much more information about FDM and SLA 3D printing. Happy 3D printing and visit us in the Makers Lab to learn more!